Good morning my sweet friends & welcome to another "Do Over Thursday!" Today is the day that my team & I remake a project that we were not too thrilled about the first time around! I decided to "do-over" this tag HERE! I "really" wasn't happy with it, so I decided to do an entire make over of it! LOL….. ;) I hope you like my newer version using our NEW goodies! 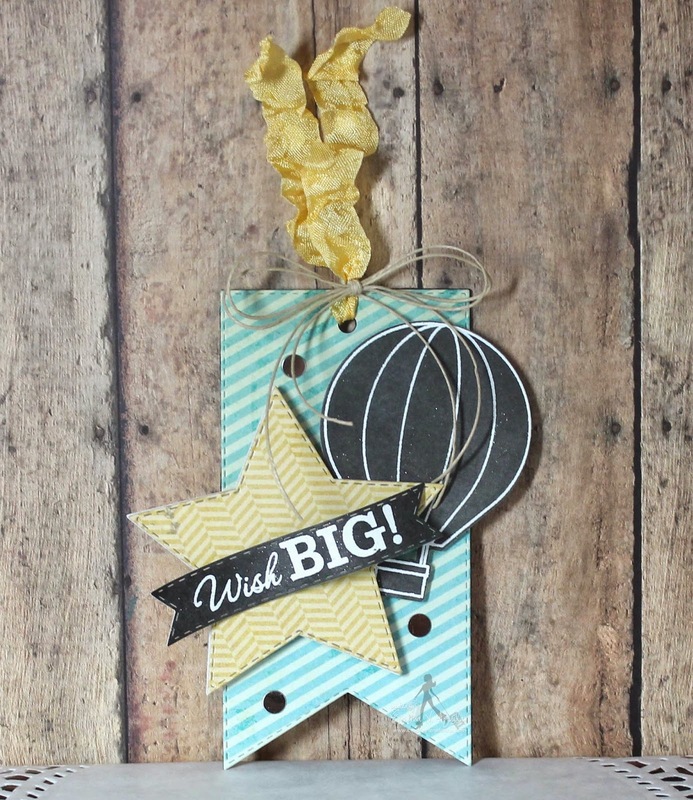 I just HAD to put our new adorable hot air balloon from "The Sky is The Limit" onto a tag! 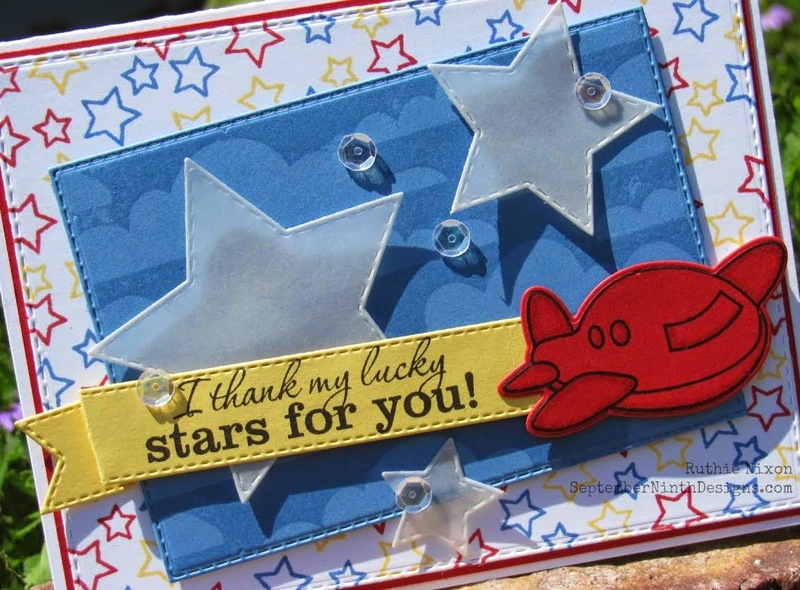 I paired it up w/our new star dies along w/one of the sentiments from "You're My Hero" set & I thought it came out pretty cool! ;) The pattern paper I used was from my stash of scraps! :) After adding some cute silver circle confetti's from Pretty Pink Posh next I added the ribbon & twine, then left it alone! hehehe~! Good Morning Miss Emma....Oh I do love your Tag YES I really do Love your do over.,,,Your tag is so cute....love the star with the Hot Air Balloon definitely soaring and love that sentiment....oh and yes awesome paper and colors do over Thursdays is a lot of fun because it just shows how versatile your goodies are. You & Your DT are just so super clever and creative I love getting all these fantastic ideas and being inspired....YOU ALL ROCK!! I loved your old tag too, but this is adorable! 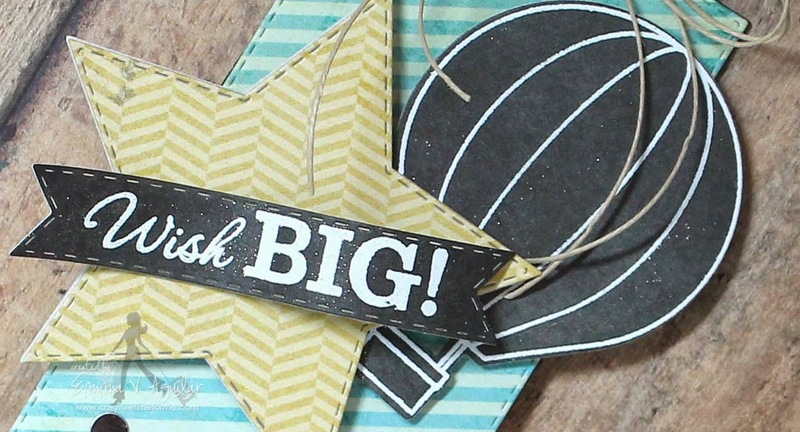 The balloon looks just awesome simply white heat embossed on black! Great color combo too! Love your new tag Emma but still love the old one too! I hope you have a wonderful day! LOVE LOVE LOVE your tag Emma!!!!!! Love the new tag ... but ... I have to say I loved the first one!! I really like the white embossing on the black...funny how easy it is to change the look of the balloon by stamping, embossing or colors. I liked both the original and the new with the newer products. Great Do Over! Wonderful job on the Do Over everyone! 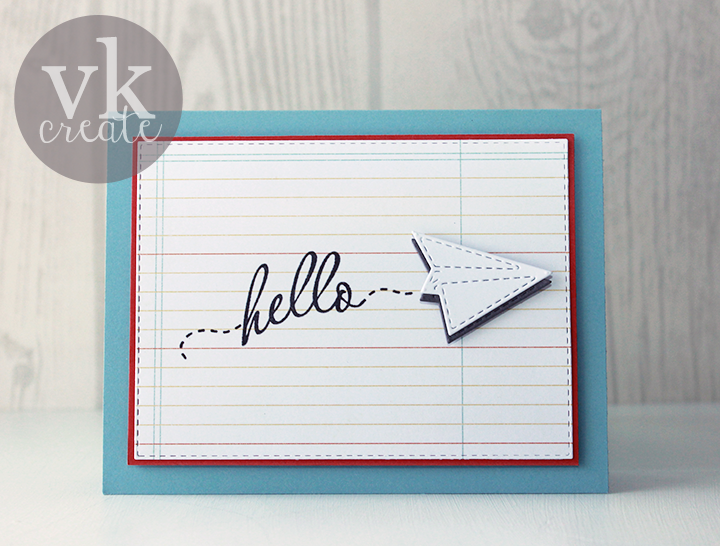 I loved the fresh looks and clever stamping. Thanks for sharing your sweet tag. LoVe your makeover.